Parrasch Heijnen Gallery is pleased to present the first solo exhibition in Los Angeles of work by James Case-Leal. The paintings in this show reflect the artist’s on-going investigation into light, growth, and shadows and how these elements transform the social and emotional effects of a picture. In the minimalist tradition, the work is grounded in reduction. 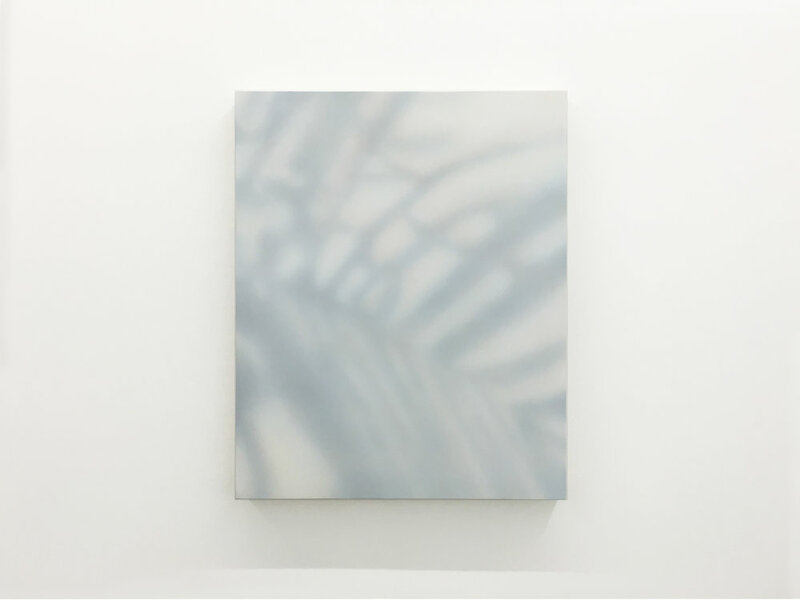 Focused solely on the phenomena of the shared emotional stimuli created by the energy of light and the complexity of shadows, Case-Leal removes elements that are not essential to his direct observations. The de-emphasis on signifiers and narrative calls attention to the physical experience of these images and the sensory body thinking they incite. Most people are reported to share similar perceptual experiences of colored halos and color casts within a shadow. These subtleties are the product of a neurological processes in the brain and are not captured by photography. Case-Leal recreates these perceptual elements, generating meaning that resides outside of language; pointing to shared universal experience. Here he offers us a vision of natural light and plant life as essential elements of a more habitable emotional environment. James Case-Leal (b. 1982, Dallas, TX) graduated with a BFA from the University of North Texas in 2006, and with an MFA from Columbia University in 2014. His focus in Sculpture and New Genres led him to approach painting as a sculptural process allowing him to develop a highly specialized system which has naturally evolved as he continues to test technological limitations and make refinements. He has taken an alchemistic approach to this new body of work through a wide range of mixed media. Cotton, pollen, carbon, ash, and artist-made lead carbonate all contribute in a specific way to the perceptual experiences of the human eye. Working from a combination of intuitive imagery, optical modeling, and observational source material, Case-Leal’s paintings are mystical, unexpectedly dimensional representations of visible and imagined light. James Case-Leal has performed and exhibited internationally, most recently in a two-person show with Charles Ross at Franklin Parrasch Gallery (New York) and in group exhibitions at Marianne Boesky Gallery (New York), Fergus McCaffrey Gallery (New York), Post Masters (New York), and at the Palazzo Cesari-Marchesi in Venice as part of the 58th Biennale. In 2011 he was granted Artist-in-Residence Fellowships from both the New York Foundation for the Arts and the Center for Book Arts. 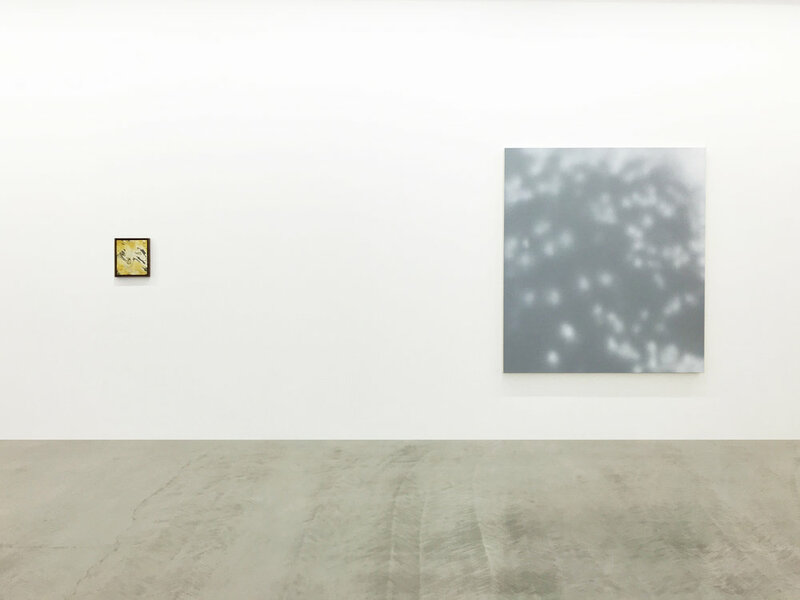 Installation view of James Case Leal paintings depicting plant shadows.